The transition to a new school is exciting, challenging, and so rewarding at the same time. After the first three years of my career at a Catholic Primary School I made the move to an Independent Girls International Baccalaureate Primary Years Program (IB PYP) School at the beginning of the 2015 school year. Arriving at my new school I was delighted to be placed in Year 6 alongside two fantastic educators; An IB PYP Workshop Leader and the Deputy Principal. They have both greatly supported me with my transition. Becoming familiar with the schools daily organisation and routines took time but the biggest change for me was understanding teaching within the IB PYP curriculum framework. The IB PYP framework is based around an inquiry approach to learning. 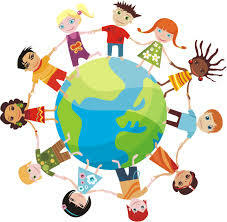 This framework is focused on developing caring, inquiring knowledgeable young people who are lifelong learners committed to making the world a better place. I was already an advocate of the inquiry process. Developing students ability to ‘learn how to learn’ rather than ‘what to learn’ was a mindset I promoted. In developing my understanding of this new framework I have been very lucky to work with IB PYP workshop leader Brooke Clayton. Brooke has supported me to unpack and develop my understanding of what this new language means and looks like within the classroom. There are 5 essential elements of the IB PYP curriculum framework. What do we want students to explore and learn. This is broken up into the Transdisciplinary Themes. There are six themes to cover during the year and each theme is explored through a unit of inquiry. Each of these units address a Central Idea, which is further supported or broken down using lines of inquiry. Connection –How is it connected to other things? 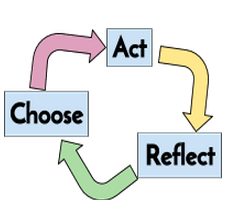 Action is the final part of the PYP model. This is where students take action on what have been learning about. Implementing the IB PYP inquiry framework allows students to develop their awareness of themselves, others and the environment around them. It supports the pedagogy I have developed in my first three years of teaching allowing students to become lifelong learners. I look forward to further developing my understanding of this framework as the year progresses. My daughter has just started at a PYP school. As a relatively new teacher I am always wanting to learn more about different styles of teaching.